BBT nv // Blog » Herbie goes BBT!!! 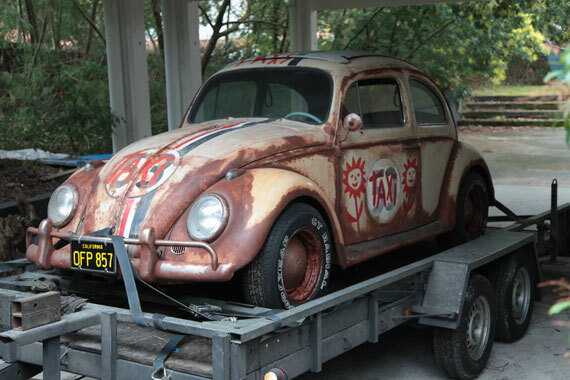 With all papers, certificates and movie memorabilia… This car is for sale and the owner entrusted it to BBT! Contact Bob @ BBT if you’re interested… It can’t be more original! Watch the trailer of ‘Herbie goes bananas’ on Youtube! If that licence plate is genuine then yes that is the real herbie. Although of course there are dozen's of real herbies that have been used in the films. I saw you today near LA ROCHELLE at 13H30. (I have a black motobike and I have done the VW sign with my hand). Does the car work, running order?